How neuroscience can help us understand autism. Are the mechanisms of autism steered by social reward or perceptual differences? Neuroscience evidence says it might be both. I am an Assistant Professor working at the Graduate School of Education, University of California based in Southern California, the United States of America. I recently published a research paper called: Oscillatory Rhythm of Reward: Anticipation and Processing of Rewards in Children With and Without Autism in the journal Molecular Autism. The npj Science of Learning team were keen to know what motivated my study and where this research is heading in future. Here are my responses. 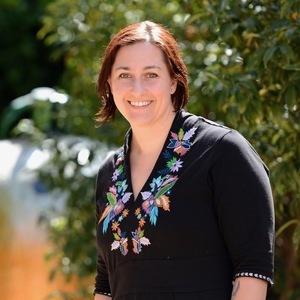 Autism spectrum disorder (ASD) is a complex neuro-developmental disorder, and there is a push for research to help explain why children with autism tend to be less socially communicative than their typically developing (TD) peers. Historically, clinicians and scientists have proposed a variety of theories to explain the social symptoms of ASD. One theory, the social motivation hypothesis, suggests that kids with ASD aren’t intrinsically motivated to interact with other people because they aren’t neurologically “rewarded” by social interactions the same way TD kids are. Most of us get a hit of dopamine when we interact with other people, whether it’s through making eye contact or sharing something good that’s happened to us. The social motivation hypothesis says kids with autism don’t get that same reward from social interaction, so they don’t go out of their way to engage with people because it’s not rewarding for them. A second theory, sensory over-responsivity — also known as the overly intense world hypothesis — states that because kids with ASD interpret sensory cues more intensely than their TD peers, those with ASD avoid interactions they perceive as overwhelming or aversive. Essentially, this theory focuses less on social reward, and more on sensory differences in ASD. If children with ASD are overwhelmed by sensory experiences, one can imagine that social interactions would be particularly difficult—and therefore avoided. Social interactions are especially complex, unpredictable, and involve multiple sensory cues to process (e.g. sound, sight, and sometimes touch). Most of us wouldn’t want to talk with someone who we perceive as yelling, especially if we were already in an overly-intense environment that was too bright, or too loud. The sensory over-responsivity hypothesis says that such interactions compel many individuals with ASD to withdraw from socialization, or to engage in repetitive self-stimulatory behaviors in order to self-soothe. The aim of this study was to understand whether one of the above theories was correct, or if both hypotheses might be true. As both a clinician and neuroscientist, I think it’s critical to understand the brain basis of ASD. I think neuroscience can help improve future intervention targets and/or eventually identify “biomarkers” to aide in early identification of ASD. TD children anticipated social rewards more strongly than children with ASD. This suggests that the social motivation hypothesis is accurate, as TD children had more reward anticipation for social pictures (smiling faces) than children with ASD. Within the ASD group, children with more severe symptoms anticipated nonsocial rewards more than children with less severe symptoms. This extends the social motivation hypothesis in an exciting way. The social motivation hypothesis says that children with ASD are less rewarded by social things, but does not specify what they are rewarded by. This finding suggests that children with ASD might be overly rewarded by non-social information. It might be the case that children with more severe ASD are overly rewarded by non-social information at the expense of social rewards. 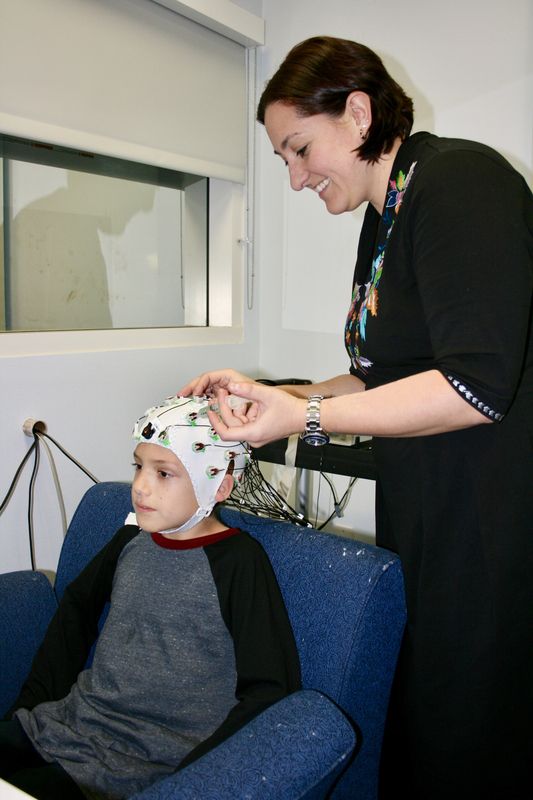 During reward processing there was more reward-related brain activity in TD children but more attention-related brain activity among children with ASD. This finding was exciting, because it is the first evidence that the social motivation hypothesis and overly intense world hypothesis might both be correct. We think that the attention related brain activity in ASD represents children being overwhelmed by sensory experiences. TD children showed the expected pattern of brain activity—reward related activity after obtaining a reward—whereas children with ASD did not. Instead, children with ASD had attention-related activity, which may be the over-responsivity discussed in the overly intense world hypothesis. Within the ASD group, children with more severe ASD showed heightened responsiveness to positive social feedback. We think this is evidence that children with more severe ASD are overwhelmed by positive social feedback (smiling faces, for example). This has important implications for intervention, and suggests that therapists and teachers should be aware of their facial expressions, tone of voice, and body language, since those cues might be perceived as too intense by individuals with ASD. Children with ASD who anticipated social rewards more strongly had less evidence of hyper-responsivity to nonsocial stimuli. Conversely, children with ASD with weaker anticipation for social rewards had a larger response to nonsocial rewards. This is interesting because it shows a potential link between social motivation/reward and sensory hyper-responsivity. Here, we see that children with ASD who were more rewarded by social stimuli had less hyper-responsivity to nonsocial stimuli. It seems as though children who are more socially motivated are less likely to have hyper-sensitivity to nonsocial pictures. The bigger picture of our findings are that these two theories that are very different on the surface appear to be true at the same time. Even though they involve different brain regions and different theoretical perspectives, they both are likely contributing to the symptoms we see in children with ASD. 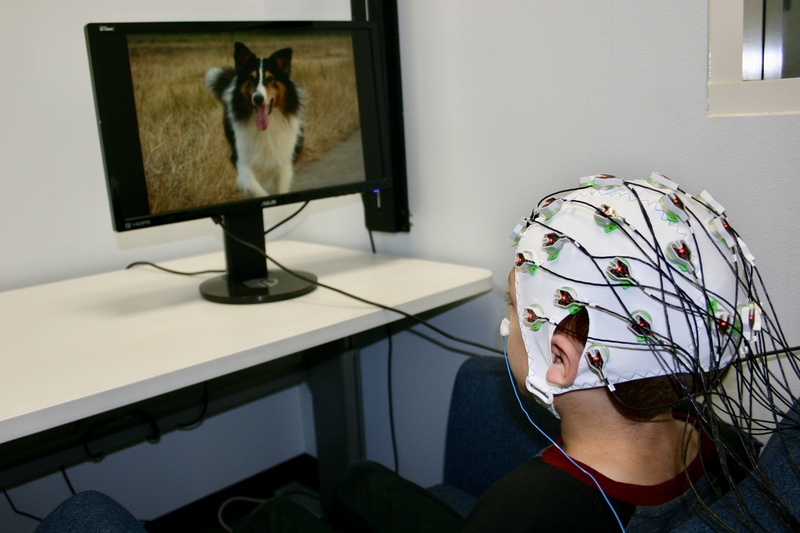 From our findings, it seems like children can be both less sensitive to social rewards and hyper-sensitive to sensory cues. These findings are important for both theory and practice. First, it shows that researchers should think about theories as working together rather than assuming only one theory can be true. Second, it suggests that different therapy providers might serve children more effectively by working together. For example, we usually think about social skills and occupational or physical therapy as entirely separate things. However, if a child is working with an occupational therapist on being less sensitive to noise or touch, it is important for that therapist to coordinate with the therapist who focuses on social skills. Take the example of a child who is sensitive to noise and avoids other children. The occupational therapist might be working on helping the child be less sensitive to noises, and the social skills therapist may be working on helping the child interact with peers appropriately. However, what if the child is both not interested in peers and feels as though peers’ voices and facial expressions are too intense? In that case, the best outcome for the child would be to have the therapists work together: the occupational therapist can make sure the social skills therapist is aware of progress with sensory cues, and the social skills therapist can make sure the occupational therapist is working on building the child’s tolerance for peers talking to him or her. I’m currently pursuing several studies to extend these findings. In one study, I’m using the same non-invasive brain measures described above, but instead of looking at brain activity at one point in time, we will be measuring activity before and after a social skills intervention. 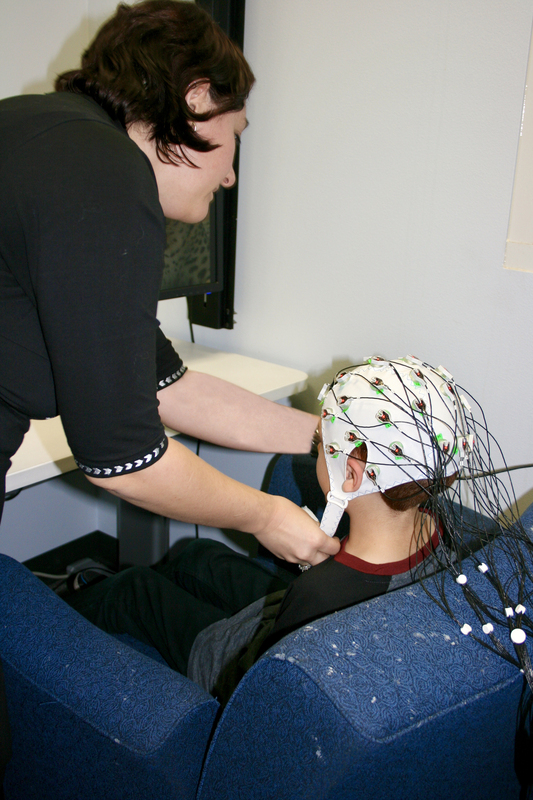 We want to gauge how brain activity changes in response to intervention. I hope this will help us understand why there isn’t a “one size fits all” approach to autism—our current behavioral interventions work well for some children, but not others. This work could help us shape more personalized behavioral therapies to optimize outcomes for each child. In a second study, I’m exploring the role that anxiety plays in autism using both behavioral and brain measures. Clinically, I have observed that some children with autism may avoid social interactions because they are anxious, while others are simply less motivated to socially engage. If we find that it’s possible to identify “sub-groups” of children with autism on the basis of anxiety and/or motivation to socially engage, it might help us choose interventions based on a child’s individual profile of symptoms.